I grew up in musical theater. To me, the highlight and the epitome of my life as a singer and actor and a dancer/choreographer was to star on Broadway. And as my popularity grew once [Star Trek] was on the air, I was beginning to get all kinds of offers. And I decided I was going to leave, go to New York and make my way on the Broadway stage. And a funny thing happened. I went in to tell Gene Roddenberry that I was leaving after the first season, and he was very upset about it. And he said, take the weekend and think about what I am trying to achieve here in this show. You’re an integral part and very important to it. And so I said, yes, I would. And that – on Saturday night, I went to an NAACP fundraiser, I believe it was, in Beverly Hills. And one of the promoters came over to me and said, Ms. Nichols, there’s someone who would like to meet you. He says he is your greatest fan. And I was speechless. He complimented me on the manner in which I’d created the character. 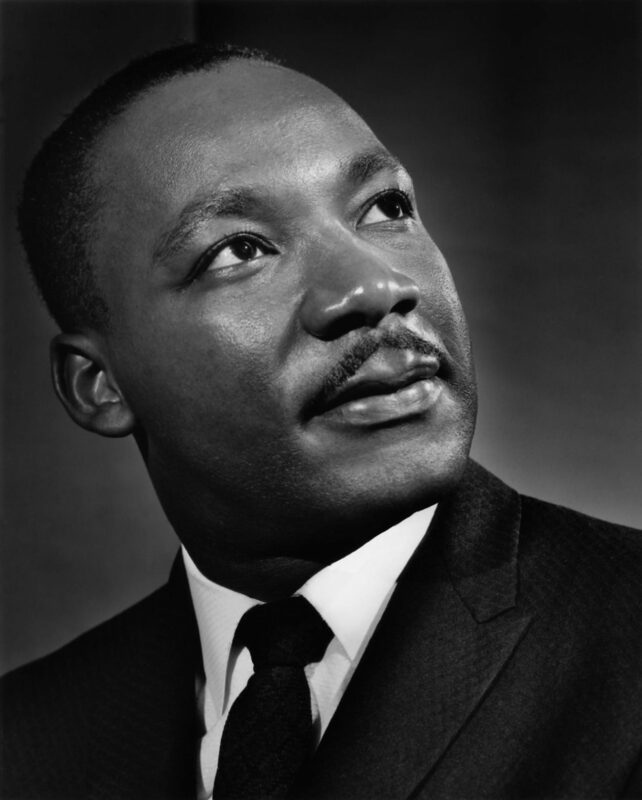 I thanked him, and I think I said something like, Dr. King, I wish I could be out there marching with you. He said, no, no, no. No, you don’t understand. We don’t need you on the – to march. You are marching. You are reflecting what we are fighting for. So, I said to him, thank you so much. And I’m going to miss my co-stars. 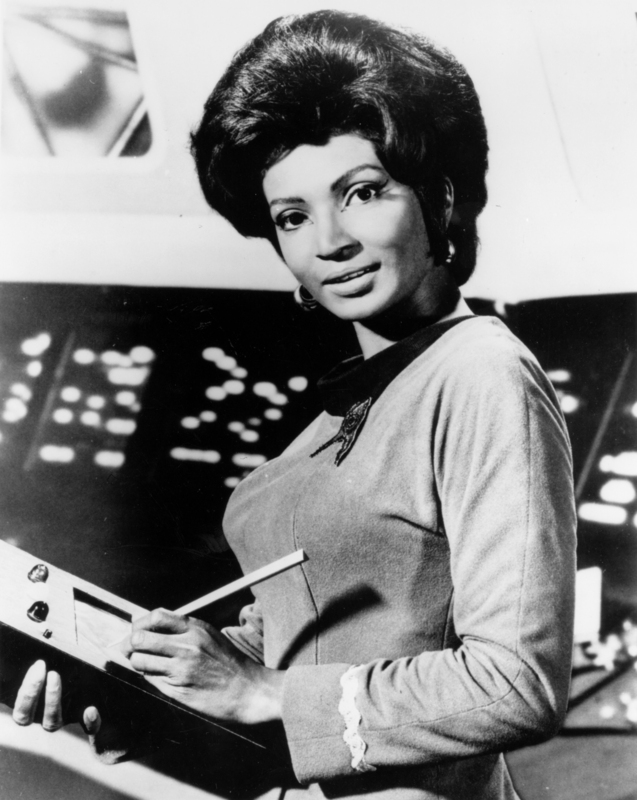 This entry was posted in Uncategorized and tagged 1960's, 20th Century, African-Americans, Astronomy, Civil Rights, Martin Luther King Jr., Nichelle Nichols, Photography, Portraits, Science Fiction, Television, USA, Women, Yousuf Karsh. Bookmark the permalink.